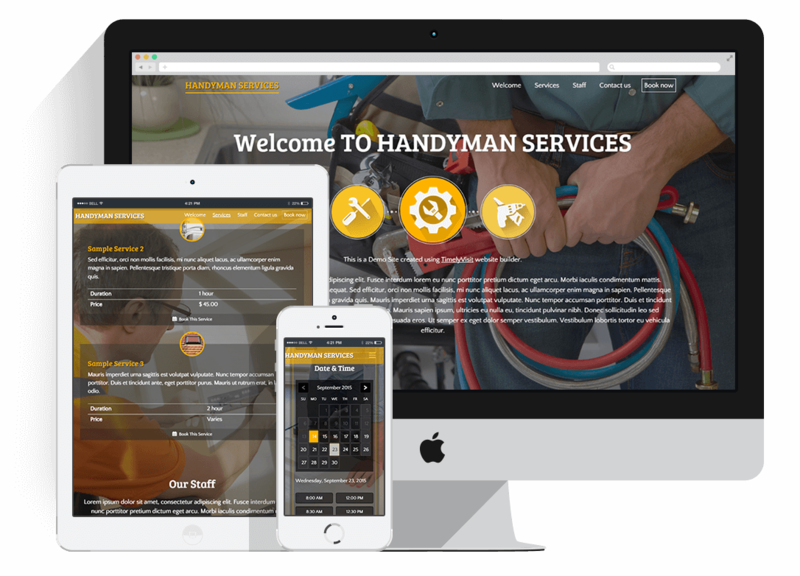 Choose themes specifically designed for handyman service providers. Whether you are a one person shop or have a full staff, your site will be professional and express the personality of your business. Having your own handy man business can be a great way to both earn an income and supplement your current income on the side. Free up some of your time to either get more work done or spend time with family with your own professional handyman webpage that will offer online appointment scheduling. Customers will be able to view your rates, hours that you are open and then schedule their own appointment in blocks of time that you have allotted as available. Showcase other services offered, such as free estimates or phone consultations to reach out to potential customers with your professional repairman web site.